I’m not usually a big fan of fuzzy food. But by the time I’ve turned edible sumac’s hairy berries into a lemony, rosy extract, the fuzz factor is gone and the result is one of my favorite wild edible plant products. 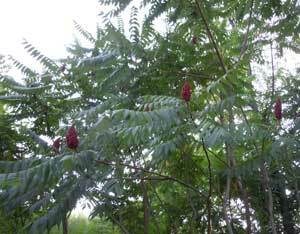 Sumac extract tastes something like lemon juice, has the beautiful blush color of rose wine, and comes from a plant that’s almost certainly growing near you. The tart flavor of sumac comes from tannins and from acids on the hairs that cover the fruit. You don’t actually eat the fruits. Instead, you extract their tasty sourness in water and then use that liquid in both savory and sweet preparations. When I did a year-long local foods challenge , eating almost exclusively foods grown within 250 miles of my home in Brooklyn, New York, I obsessed about the lack of citrus, especially lemons. Brooklyn winters are far too cold for citrus trees to survive there. A whole year without a lemon in my kitchen? Yikes. Sumac was one of the foods I relied upon during that extreme food challenge year to take the place of lemons in my cooking. Taking a tip from Wildman Steve Brill, I froze sumac extract in ice cube trays so that I could have it on hand year round. You’ve already tasted sumac if you’ve ever eaten at a restaurant that serves Middle-eastern style food. It is one of the ingredients in the ubiquitous Middle-eastern seasoning blend za’atar, and it is the reddish powder sprinkled around the rim of your plate in Egyptian restaurants. “Red za’atar,” as dried, powdered sumac is sometimes called, usually comes from Rhus coriaria, a sumac native to the Mediterranean region. In North America, one of the most common edible sumacs is staghorn sumac (R. typhina), a shrub native to the Northeast. You’ve seen this plant growing alongside highways: It’s the shrub with pointy, compound leaves and upright rust-colored berry clusters that have a cone-like shape. Sumac berries can be harvested without harming the shrubs, as is true of all fruit harvests. Peak season for sumac fruit is late summer. The young growth at the tips of the branches is also edible…but that’s another post. There is a plant called poison sumac (Toxicodendron vernix) that can give you a wicked rash. But don’t worry: you really can’t confuse poison sumac with the edible sumacs because its berries are whitish, not the rusty red color of edible sumac fruits, and they hang down rather than perching in cone-shaped clusters above the leaves. Never harvest sumac berries immediately after a rainy day. The rain washes away the acids that give the edible sumacs their refreshing flavor. Wait several sunny days after a rainfall before collecting sumac. I like to give the berries a lick right there in the field to see if they are sour enough to bother harvesting. Place sumac berries in a bowl of room temperature water. Swish them around vigorously with your clean fingers. Let them soak in the water for 15 minutes. Swish around again, let soak again, and repeat once or twice more. Strain through a very fine sieve, paper or cloth coffee filter, or several layers of cheesecloth. If you want a visual, here’s a quick video on making sumac-ade. Sweeten the extract to taste. Serve chilled. 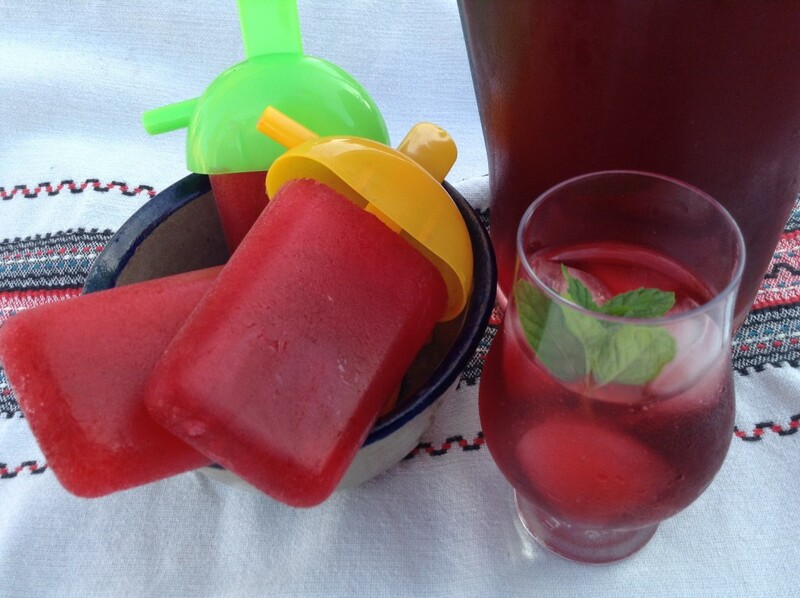 This is one of my favorite late summer drinks! 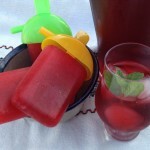 Simply freeze the sweetened sumac-ade in popsicle molds. Use unsweetened sumac extract in any sauce or marinade that would work well with lemon juice. To preserve the extract, freeze it in ice cube trays and then transfer the cubes of frozen extract to freezer containers. Prepare the sweetened sumac-ade above. Combine two parts chilled sumac-ade with one part vodka and serve. 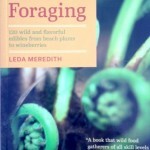 Always be 100 percent certain of your identification before eating any wild plant or mushroom. Credit where credit is due: I originally wrote a slightly different version of this post for Mother Earth News.